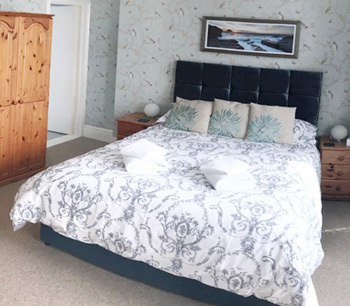 The Atlantic View Hotel is a lovely Victorian house situated in the small hamlet of Treknow, just a mile outside the village of Tintagel, famous for its connection with the legend of King Arthur. 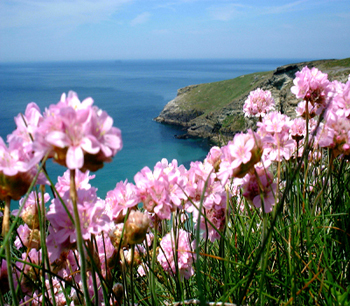 The hotel is set 300 yards back from the rugged and dramatic cliff top, of the North Cornwall coast. 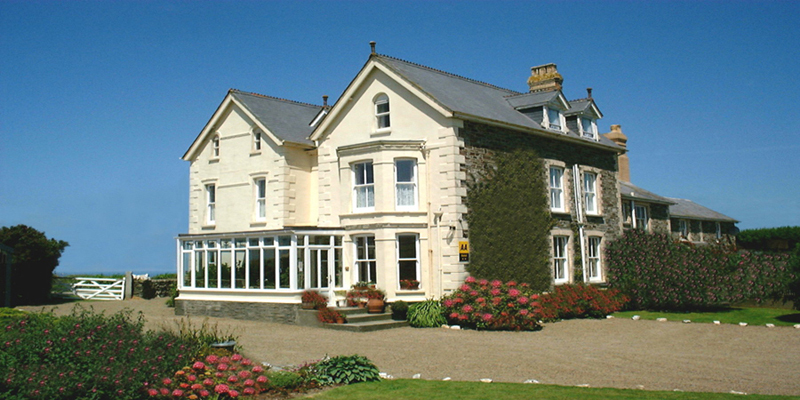 The Atlantic View is a family run hotel, where care is taken to ensure guests receive a warm and friendly welcome from the owners. 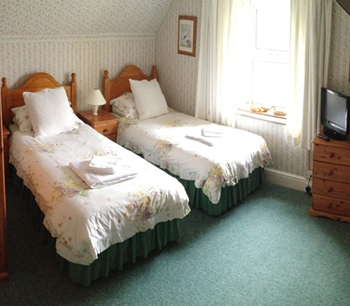 There are nine comfortable en-suite bedrooms, all having beautiful views of sea or countryside. 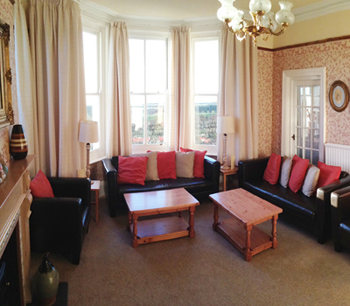 The ideal place to stay for either a short break, or for a longer holiday in a friendly, relaxing atmosphere. In the grounds, there are large lawns, sun patios and ample private parking. Inside there are two residents lounges, an elegant restaurant, sun lounge and cosy licensed bar with sun room, which has magnificent views out across the Atlantic Ocean and along the rugged North Cornish Coast. Here you can relax with a pre-dinner drink and watch the sun setting into the sea. The half board rate includes a five-course dinner with a choice of menu, changed daily, and in the morning a full English breakfast, all prepared by our resident chef, using the best local ingredients. The wine list is designed to provide a selection of attractive wines at reasonable prices. The Atlantic View Hotel is two minutes by car from Tintagel, with its gift shops, tea rooms, pubs, King Arthur's Hall and pottery. You can visit the ruins of Tintagel Castle, a remarkable place of romance, dreams and legend. here is easy access by foot from the hotel to the Cornwall Coastal Path, which leads in one direction to the castle ruins and in the other direction to Trebarwith Strand, a beautiful beach at low tide. It is ideal for relaxing or exploring the many rock pools, rocky outcrops and sandy coves, or for the more energetic, excellent for surfing. 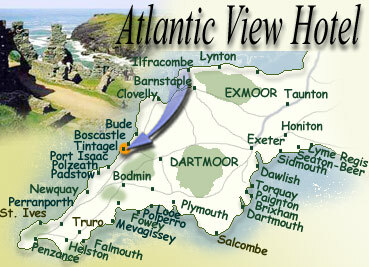 The Atlantic View Hotel is an ideal springboard for touring Cornwall and Devon. 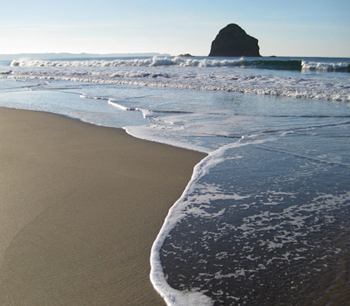 There are numerous places of interest, within easy driving distance. Many National Trust Houses and gardens, animal sanctuaries, theme parks and many superb golf courses, as well as the many little fishing harbours and beautiful beaches that Cornwall is famous for. 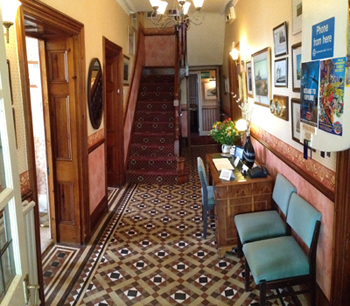 Half Board Rate Includes: - Accommodation, Full English Breakfast & Five Course Dinner (Changed Daily). A Minimum deposit of one nights stay per person is required to secure all reservations. Prices for children on request. Single occupancy, Dinner, Bed & Breakfast only. To email a request for further information, or to make a reservation enquiry, please click the button below.